Data and Membership - Churchteams helps users manage data at every level. Our users can print color directories. They can easily manage multiple congregations or campuses. Churches can track attendance, record spiritual gifts and even match volunteers based on those gifts. Users are able to track special events in the lives of members such as birthdays and anniversaries. With our product it’s easy to seamlessly merge and move records. Churchteams can even match visitors with outreach team members for follow up. Communication –Churchteams makes it possible for users to email people directly from within the software. This kind of targeted communication is hugely advantageous. An article exploring the power of targeted communication can be found here. Another stand-out feature is the ability to send mass text messages. These features are included in the software at no extra cost. Giving – Churchteams giving component allows users to track donors and pledges. It also provides online giving options and allows donor statements to be easily delivered via email. Churchteams also partners with Mobile Axept allowing churches to directly import texted donations into our contribution tracking software. Small Groups – None of our competitors has a more comprehensive and easy-to-use small group component that Churchteams. That’s because when our company began at the beginning of this century, we started as a small-group-only software. Since then we’ve blossomed into a full-church management software. Our small group tools are the best on the market…PERIOD. The Cloud – From our beginning, Churchteams has been a 100% online system, so all of our data is stored in ‘the cloud’. With our excellent security and simple interface you can comfortably utilize our ChMS system 24 hours a day. Check-In – Our services include volunteer and children’s ministry check-in. Our clients can print name tags and “asset tags” to label diaper bags, jackets, back packs or other personal items. Company Ownership – Churchteams has had the same owners from the beginning and one of our most important values is that of “ministry first”. Some of our competitor companies have been bought and sold several times. These changes in leadership have resulted in sudden changes that alter their product offerings, pricing and even usability. The fact that our company has always had the same management is a tremendous benefit to our customers. Why? Because consistent management means consistent quality company values. Attendance Tracking – With Churchteams you can track attendance at every level in your church from classrooms, to groups to events, and (if desired) even worship service attendance. One Product For Everyone – Every one of our clients has the exact same version of our software. Some of our competitors offer several versions of their products. The lowest priced versions have less functionality and the highest priced versions have the most functionality. Instead, Churchteams always includes all of the software’s functionality to every client. Whenever we made an upgrade or add a feature, all of our customers have immediate access to the improvements at no additional cost. Since we are one of the most competitively priced products on the market and our upgrades never cost extra, our product continues to become a better value all the time. 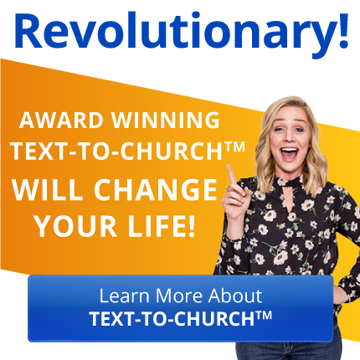 User Friendly – Churchteams is easy to use. That’s one of our biggest strengths. We heard from someone who used a competitor’s product about how difficult-to-use the product was. He said, “Since it’s not easy to use, I avoid using it at all costs.” Those are strong words. Clients who switch Churchteams always say that our software is simpler to operate, thus making it more likely to be used. Face it, an unused ChMS product is a waste of money, but a used one is of great value. Customer Service/Training – Churchteams, has free webinars, online videos to train end users and also offers personal help over the phone. Sometimes when you call for help, you’re talking directly to the president of the company. And of top of that, the president also leads many of the free webinars. He feels it’s important to serve clients directly rather than being separated from them. Pricing Transparency – Many competitors don’t list their pricing on their websites. Instead they say, “Click here or call us for pricing information”. At Churchteams we always publish our simple pricing up front. We never have hidden fees or pricing surprises. These aspects of our product are of the highest benefit to churches. That’s why we unapologetically believe that Churchteams is the best value for ChMS services on the market today. If you’d like how our products, prices or services can help you, click here.